Alan George (viola) comes from Cornwall and studied violin with Colin Sauer at Dartington Hall, viola with Herbert Downes in London, and chamber music with Sidney Griller at the Royal Academy of Music. members of the Fitzwilliam String Quartet, remaining as its only viola player for all 50 years of its existence (so far!) – for the past ten of which he has also been conductor of the Academy of St. Olave’s, here in York. 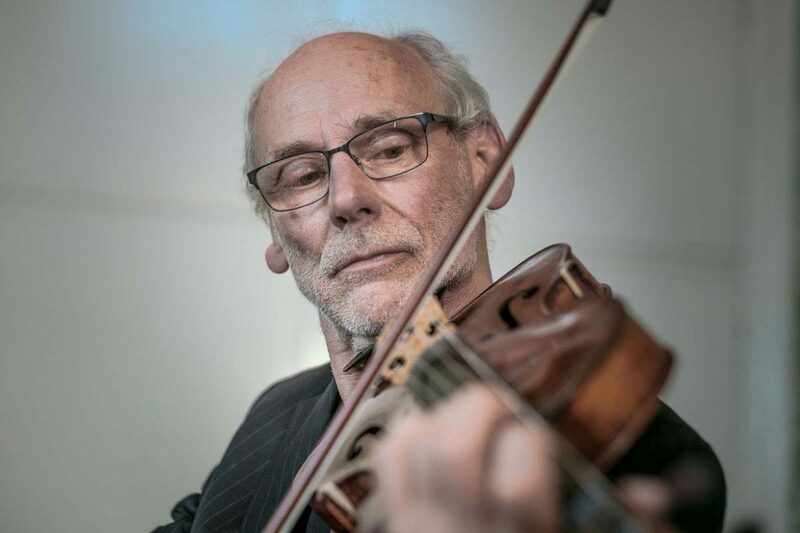 Since 1976 he has been actively involved with the period instrument movement, including eleven years as principal viola with the Orchestre Révolutionnaire et Romantique. author of three studies of Shostakovich’s chamber music as well as numerous articles and programme notes; he has also presented talks on BBC radio and at various festivals and concert venues throughout Britain and America. He has been tutor in viola at the RNCM, lecturer with Martin Randall Travel, and visiting lecturer/examiner at many colleges and universities both here and abroad. In 1981 he was made an Honorary Doctor of Music at Bucknell University, USA, and similarly honoured by the University of York in 2006. He is a trustee of the registered charity Jessie’s Fund – which helps sick children through the therapeutic power of music His viola was made in Cremona (Italy) c1740/41, possibly by one of the Guarneri family.